Molas, strictly speaking, are traditional costumes of Kuna women, who are natives of Colombia or the Panama region. The costume is comprised of a panel blouse, which is divided into front and back panels. Apart from this, the costume includes a skirt worn like wrapper, headscarf, earrings, nose rings, leg and arm beads. Mola costumes originally were influenced by the culture of the place. However, nowadays, the effects of modern world are also visible in these designs. Therefore, it is nothing surprising to find pictures influenced from television cartoons, books, labels and even posters. Yet, geometric shapes in molas are considered to be traditional ones. Apart from being a traditional costume of the Kuna women, molas can also be used as fashion accessories and beautiful wall hangings. Other interior decoration purposes include place mats, pillows as well as pillow covers for example. Molas are available in different vibrating colors and designs. Mostly they resemble the images of different animals and insects. Some of the popular mola types are jaguar attack molas, telephone turtle molas, elephant molas and spider web molas. Butterflies, puppies, armadillos and lions are also very popular objects. Women follow reverse appliqué technique for making their traditional costumes and molas for putting on jeans jackets and other modern clothes. Generally, there are two to seven layers of different colors of clothes attached together for making the molas. Different layers of clothes are stitched together before cutting out shapes and patterns for making the folk art. 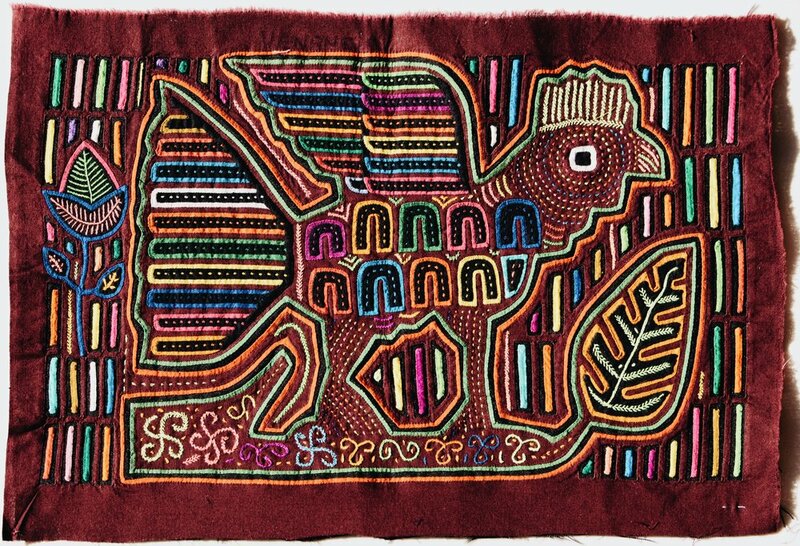 As the molas are hand woven the stitches vary depending on the expertise of the weavers on these types of jobs. The quality of a mola is partly decided based on the type of stitches. The finer the stitch, the better is the quality and the higher is the price of a mola. Molas and Kuna blouses that are sewn by experienced women often have stitches which are almost invisible. The value of the molas also varies depending on the number of layers. The more layers a mola has the higher is the quality.